Contemporary architecture has a softer side, as evidenced in the kitchen of this Braeswood-area home. Windows above and below the cabinets let in lots of natural light. 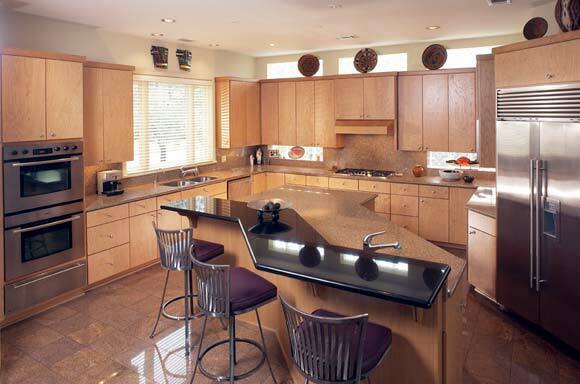 Granite countertops and floor provide clean lines and rich color.